Downtime is not an option. Understanding RTO (recovery time objective) is a key to knowing the difference between BDR and intelligent business continuity. 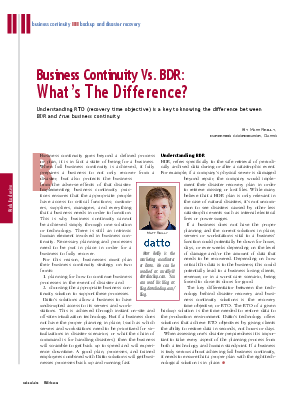 This article highlights the differences between BDR and intelligent business continuity.